Overnight Camp and Day Camp provide incredible opportunities for children to grow and thrive in a new environment, however it can present anxiety for parents who want their child to be safe, happy and comfortable. We fully understand the questions that come up and the number of “what-if’s” that pop up as you consider the adventure your camper is about to take on. We hope that the information here can help you feel better about camp, but if you have questions not answered below, please feel free to contact us and we’d be happy to help you. Camp is a growing experience and growth means change. The short-term uneasiness often creates opportunities for long-term growth. A week at camp builds confidence and a new sense of independence. Your camper is gaining important personal skills through their new experiences. Being familiar with camp helps; talk with experienced campers, visit camp and contact us with questions! Set your child up for success: don’t promise to rescue your child if he or she is homesick. Focus on providing positive support and how proud you will be when he/she succeeds. Campers who make up their minds to enjoy the week avert homesickness by seeking new friends and getting involved in camp activities. Some campers feel guilty about leaving the family or pet behind. Assure your camper that you love him/her, that you will be happy thinking about the good experiences he/she is having, and that you’ll look forward to hearing about them after camp. Please don’t suggest phone calls – these are extremely difficult to manage and campers should focus on having fun and participating, not on a phone call. If your camper is experiencing a significant difficulty, the Summer Camp Director will contact you to work on an action plan. Y Camp staff are carefully screened and selected to ensure a safe environment and the highest quality experience for your camper. Each staff member participates in a week-long training, during which they learn safety awareness, camper relations and programming options. Y Camp staff are required to have current certifications in CPR, First Aid and AED. We use a 6:1 camper to staff ratio; well below American Camp Association standards. If any camper chooses to tease, bully or physically confront another camper with the intent to cause harm, they will be expelled from camp by the discretion of the Summer Camp Director. Refunds will not be awarded to camp families for campers sent home for disciplinary reasons. Parents are responsible for transporting campers from camp and are expected to respond in a timely fashion. Y Camp staff are trained to deal with inappropriate behavior in a constructive, safe and non-degrading fashion. Campers will be held responsible for their actions in a positive manner. Y Camp reserves the right to send a camper home at the parent’s expense if the camper’s behavior consistently takes away from the experience of others or endangers his/her safety or others. A camper will immediately be sent home for incidences concerning violence or threats of violence. Again, parents are responsible for transporting campers from camp and are expected to respond in a timely fashion. Y Camp is Nationally Accredited by the American Camp Association on over 350 standards of safety and program excellence. Y Camp understands the first priority for all campers and staff is safety because without that, no one gains the benefits of everything else camp has to offer. For more information, visit the ACA website. Sleep Away Camp- a $50 non-refundable deposit is required per session, per child. Day Camp- A $20 non-refundable deposit is required per session, per child. Full payment will be required prior to your camper's arrival at camp. Simply go to the CampBrain Registration Site and sign in with your email address and password. You may make payments using the Return to Pay feature as often as you like as well as view and download your account statement. When you arrive at camp, staff will greet and direct you the parking area. After you park, leave your belonging in your car. You will go to the Pioneer Center for check- in. After you are checked-in you will return to your car and drive to your cabin. Sunday check- in is between 3:00 p.m. and 5:00 p.m.
Saturday check- out program begins at 9:00 a.m. and lasts approximately 45 minutes. Check- in 7:30 a.m.- 8: 15 a.m.
Check- out 4:25 p.m.- 5:30 p.m.
Check- in 7:30 a.m.- 8:00 a.m.
Check- out 4:55 p.m.- 5:30 p.m.
Check- in 8:30 a.m.- 9:00 a.m.
Check- out 4:00 p.m.- 5:30 p.m.
To deposit money into your camper's trading post account go to the CampBrain Registration Site and sign in with your email address and password. View your registration details and click on the Add campers, sessions, options. From here you will have the option to add Camp Store Deposits. You will also have the option to deposit money on check in day. The Trading Post is open for campers every day. Items for sale consist of snacks and camp merchandise. All unspent money is returned to the camper prior to checking out. Your child will not be permitted to spend over their account credit, so please deposit enough for his/her needs. On average, Sleep Away campers have between $30 and $50 in their account; Day Campers between $5- $10 weekly. Prices range from $1 for snacks to $15 for t-shirts, or more for a sweatshirt. Personal items such as soap or toothpaste are available to campers that need them. Book – Y Camp encourages reading, so bringing a great book to enjoy during down-time can help with summer learning and improving literacy. Water bottle- Keeping hydrated is a top priority! All campers are required to have a water bottle. Swim wear – For all those trips to the pool! Campers will stop at the pool at least once a day. Please be conscientious of the swim suits that are brought to camp. We ask that females wear one piece suits or tankini’s and refrain from bringing two piece suits. For Males please refrain from Speedo type suits. Towels – Always good to stay dry. Jeans – Your camper will need them to go horseback riding. Sunscreen – While camp has back-up bottles, you know your campers skin-care needs. Sending your own bottle is a good plan. Bug Spray – To deet or not to deet? Another personal choice, as chemicals like bug spray can irritate both mosquitoes and your camper’s skin. Send the spray you use at home. Camp has back-up spray that does not contain deet. Disposable Camera – It’s a great way to remember camp and keep the memories with you! Multiple pair of shoes – Camp can be dirty and it can be nice to have dry shoes to change into. (Please do not pack Flip-Flops, as they can be hazardous around camp.) Closed toe shoes will be required for horseback riding. Day Campers will need to bring a backpack daily to keep these items in. Personal Care Items – Toothbrushes, soap, shampoo, etc. are all suggested for hygiene and cleanliness. Clothes for All Weather – Some mornings and evenings can be brisk and a sweatshirt or jacket can be a good idea. Sleeping Bag and Pillow – Sheets can be nice, but can also be a hassle. Camp beds have mattresses but not sheets or blankets. Sending a sleeping bag is a great way to keep warm and it’s an easy option. (Reminder: Camp’s cabins are air-conditioned- except Treehouses). Flashlight – It can get dark at night at camp! Pack a hand-held light to help avoid bumps and bruises. Some items will be taken and stored safely until Check-Out. Other prohibited items will require a phone call to parents or result in the dismissal of a camper from camp. DO NOT BRING candy/food, electronics (handheld games, iPods, cell phones, etc. ), cash, knives or other weapons, fireworks, alcohol/tobacco products or illegal substances, personal sports equipment, animals, flip flops or lighters. Parents are encouraged to call in case of an emergency. To communicate with your camper, please use our email service or send a letter. This is important to fostering a sense of independence and confidence in the camper. Cell Phones should be left at home. First, Y Camp holds no responsibility for lost, stolen or damaged electronic items and cell phones easily fall into all three of those categories. Cell phones can also take away from the camp experience and can be a distraction. If Y Camp finds a camper in possession of a cell phone, we will place it in our safe until Check-Out. In the event your child becomes ill or injured while at camp in a manner that requires a stay in the Good Health Center or need further attention by the Health Care Provider the child’s parents will be contacted. To avoid overheating and dehydration during the week, water bottles are mandatory at Y camp. Campers are welcome to bring one from home or purchase one from the Y Camp store. Dehydration is a serious matter! Help us prevent heat related illness. If your child has special needs that require specific attention, please notify Y Camp. We will make all reasonable attempts to accommodate those needs, however, our staff is not trained to handle all medical or psychological needs. 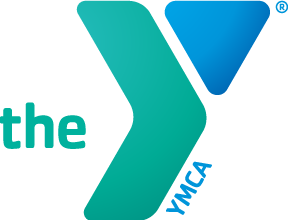 All medications (including any over-the-counter or “as-needed” medications) must be turned into the Y Camp Health Care Provider during check-in for Sleep Away campers. Day Campers will check- in medications with the Leader at the check- in site. All medications must come in their original bottles or packages. Prescription medications must contain original prescription information. We encourage families to include only enough doses for the week. Medications are only distributed during meal times (8:00am, 12:30pm and 6:00pm) and bedtime (9:30pm). Upon arrival at camp parents will be asked to fill out a short screening form detailing the general health of camper. Please be honest when answering, as the health and well-being of camper is foremost on our list of priorities. Screening forms are reviewed by Y Camp’s Health Care Provider. Anything abnormal will be addressed privately with a camper’s family, and in some cases a camper may be asked to attend alternate weeks. At Check-In, Y Staff will perform a head lice check. This check is necessary to avoid an outbreak at camp. If lice are found, the camper will be sent home for treatment. Campers are welcome to return 24 hours later for another check. Campers will not be admitted without a clear scalp examination. Wash and dry (on high heat) all items you are sending to Y Camp prior to packing your camper’s bag. If you are concerned that you have an infestation, contact Y Camp to work through how best to prepare your gear and how Y Camp can help make sure the pests don’t come with your camper. When your camper returns home, leave his/her bags outside until everything in them can be washed and dried on high heat. Don’t be ashamed or embarrassed to talk about bed bugs. Having bed bugs doesn’t mean you are dirty or unsanitary – it means you had the bad luck of coming in contact with them. More awareness and information is key in helping Y Camp in the fight against bed bugs.